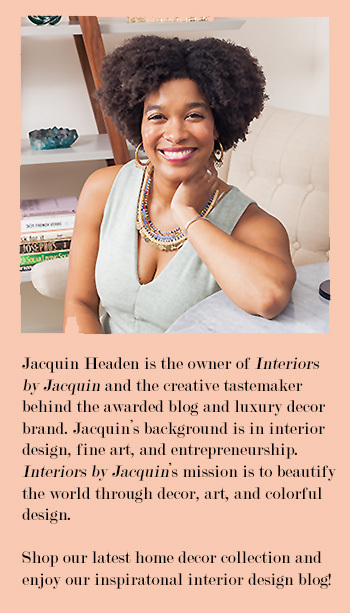 One of my favorite things in the world are plants and fresh flowers, so I was excited to invite floral designer Jenna Griffin of Gold & Bloom to share which flowers are in-season this winter. You don’t have to wait until the springtime to begin enjoying flowers again. 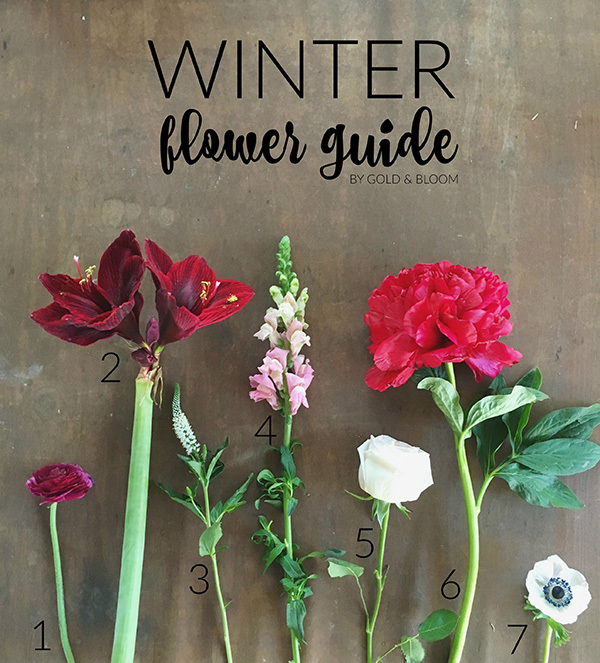 You guide to winter flowers has arrived! Part of the excitement in being a floral designer, is that flowers come and go in and out of season Although there are some flowers you can find pretty much year round, there are some that are only available at certain parts of the year. So when my favorites come back into season, it’s like a holiday in itself. These are some of my favorite winter flowers to use in bouquets and arrangements this season. Each one is unique on its own and will bring a special vibe to your floral designs. 1 | RANUNCULUS | This is my all time favorite flower and use it in pretty much every arrangement I make. You can find it pretty much year round in various colors. I love the color of these burgundy ranunculus! 2 | AMARYLLIS | This beauty is such a unique and bold winter flower, and comes in many different colors. 3 | VERONICA | I love the white ones this time of year, especially. They add such a great shape to arrangements. 4 | SNAPDRAGON | This is another flower that I just love the shape of! Oh, and good news: it’s available year-round! 5 | GARDEN ROSE | Their glorious scent will win you over! 6 | BURGUNDY PEONIES | Winter is when the beautiful burgundy peonies come out to play! The lighter colored peonies are in season in the warm months, but this one is one of the few that like the cold. 7 | ANEMONE | These cold weather friends are just so adorable to look at. I use them in arrangements all the time! If you plan to showcase fresh flowers at your holiday get together, consider asking your florist to use these stunning winter flower varieties. These winter flower are rich in color and character. Visit Gold & Bloom for more floral inspiration.